Fully custom design build kitchen for some really awesome clients. 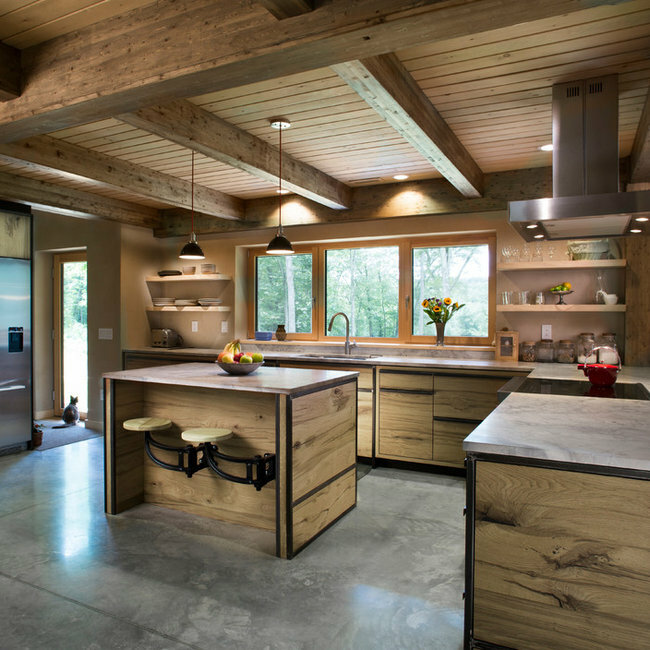 Truly a one of a kind kitchen mixing raw steel elements, reclaimed oak, and top of the line modern appliances. Not to mention the terrarium on top of the breakfast nook...that turtle is living large!! We outfitted this recreational room with a wormy chestnut bar and built in Miele Fridge. The chestnut made a long trip from South Carolina but now has a new home in Clinton. Inset doors and drawers all with top of the line soft close hardware. Time for a whiskey! While rearranging some interior walls we decided to build a 9ft walk in pantry. 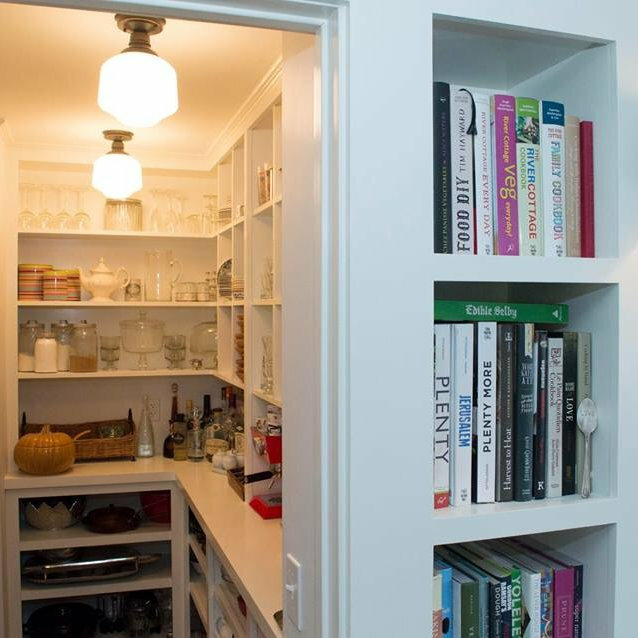 Great use of space by incorporating a built in bookshelf just for cookbooks! Bon appetite! One of the most fun pieces we have ever gotten to build! This unique design lets you watch tv from the office or the bedroom...brilliant! Thanks to windmill technology you can spin this 1000 rotations per minute and the tv won't even go blurry! If only I had a closet this cool! Each door has it's own LED light that is connected to a magnet switch so the light comes on as soon as the door is opened. Custom shoe rack and built in bench/laundry storage with a reclaimed walnut top. 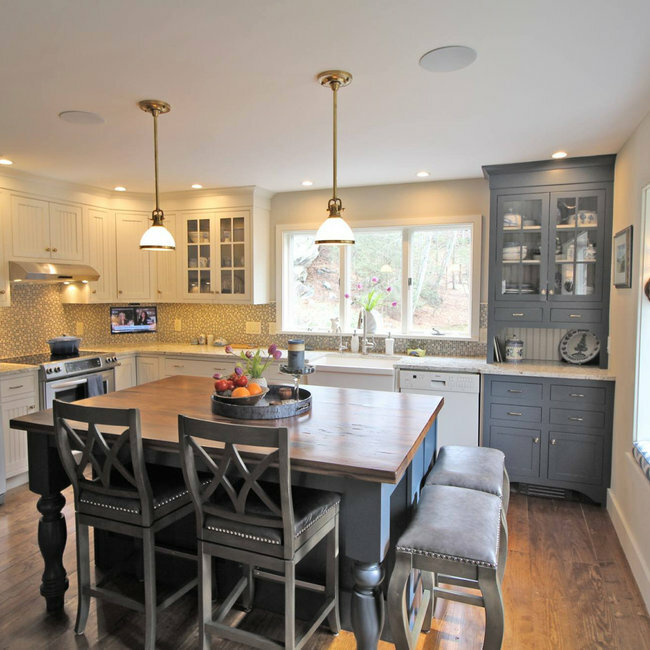 This kitchen mixes the old with the new! 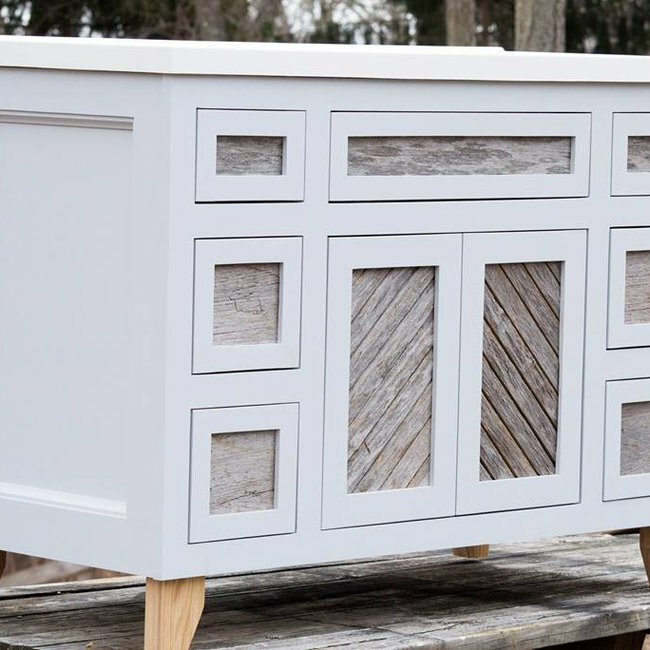 Reclaimed wire brushed inset oak cabinetry for the island and butler pantry...painted inset custom cabinets for the main run and appliance locker which features accordian style doors with seeded glass. 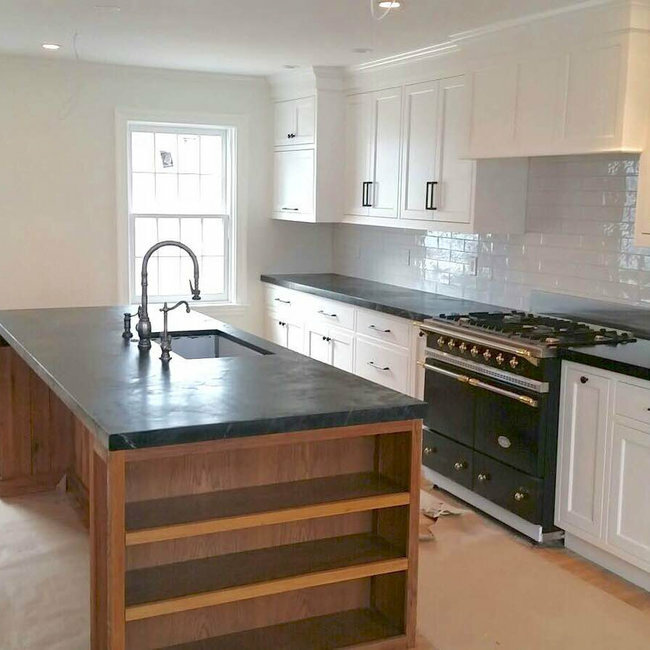 Soapstone counters and subway tile backsplash bring it all together! 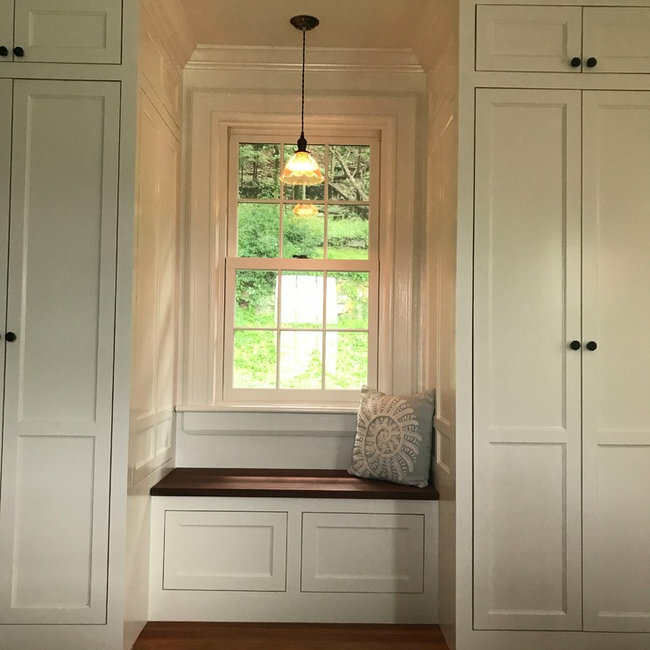 This shaker style day bed with built in closet was a super fun challenge. The space is actually a garage bay that we closed off, added stairs, and built an in law apartment above. 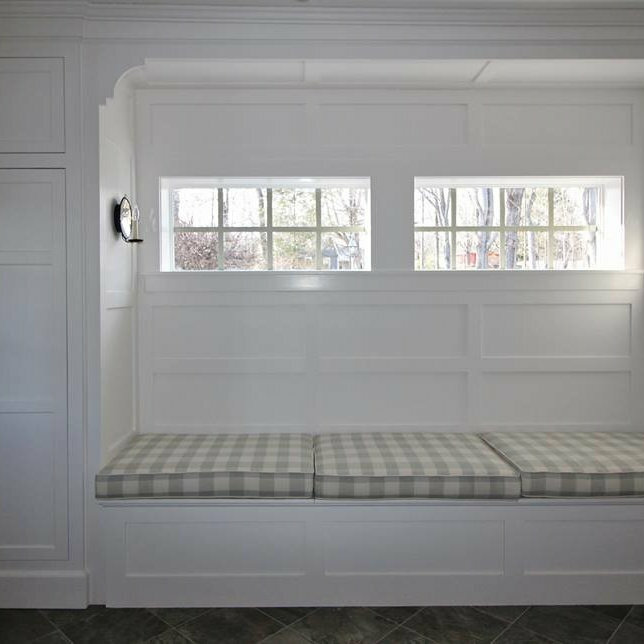 The windows in the day bed are the existing garage door windows which then preserve the aesthetic from the exterior of the house. Had a blast building this custom full overlay vanity. 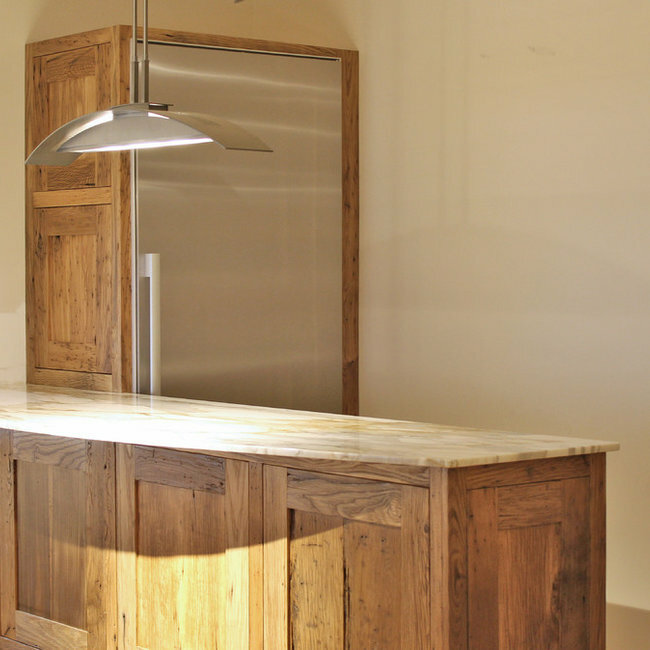 The base is solid white oak and the top is a honed marble from Vermont. 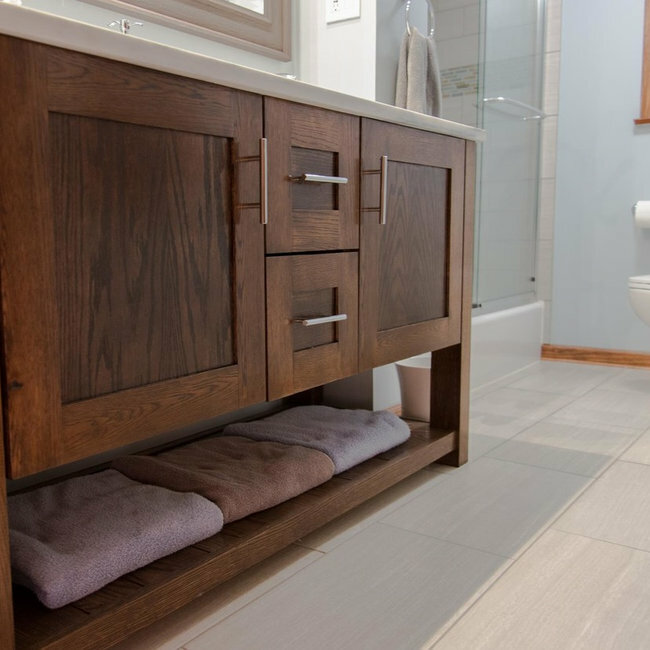 The hardware and fixtures really come together to give this piece a unique feel. This piece is one of my favorites. We took the traditional shaker style and shook it up a bit by doing reclaimed weathered poplar panels. 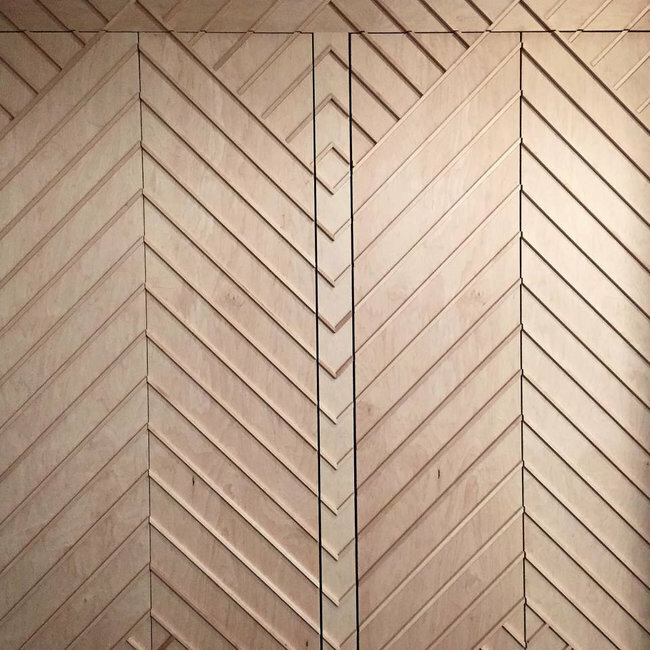 The herringbone pattern on the two doors gives it some flare and the paint color provides a great accent.